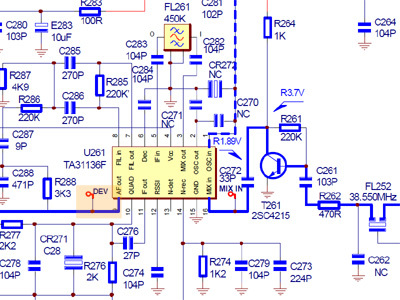 The receiver IC is a TA31136, with the unfiltered audio on pin 9. 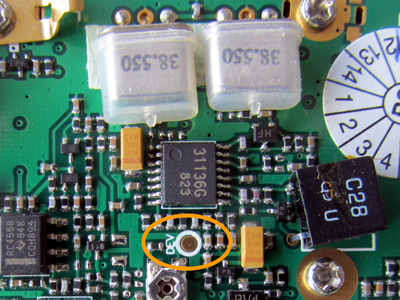 To open the transceiver, the two knobs need to be removed. After that, the three washers can be loosened using a pair of fine tip pliers. 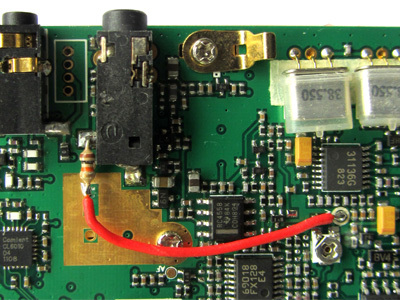 Next, the back part of the transceiver can be taken apart from the front half, starting at the bottom. To make the two halves easier to handle, also the flatcable connecting the two halves can be loosened. 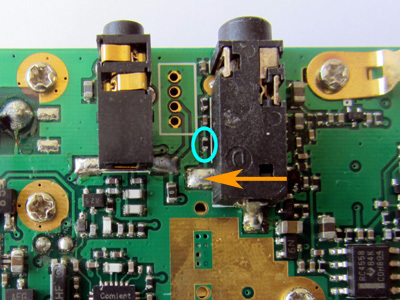 The microphone socket is reused, so no drilling is required. 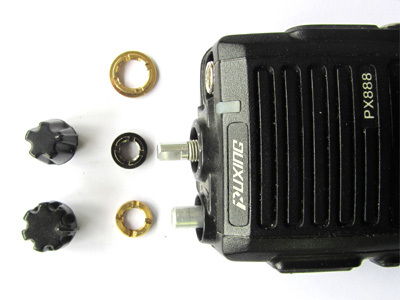 Using a 3.5 mm (1/8") mono or stereo plug, the unfiltered audio is available on the tip and ground. 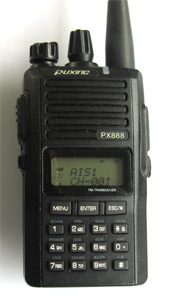 This modification does not affect the operation of the radio. 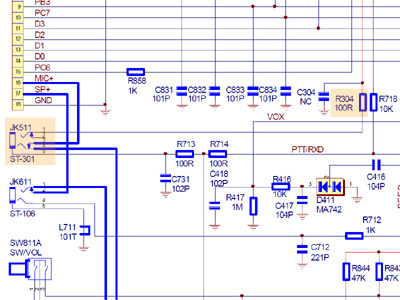 Both an external speaker/microphone and the USB programming cable still work correctly.